Israeli soldiers invaded, on Monday at dawn, several Palestinian governorates in various parts of the occupied West Bank, searched and ransacked homes and workshops, and abducted eleven Palestinians, in addition to shooting one during ensuing protests. 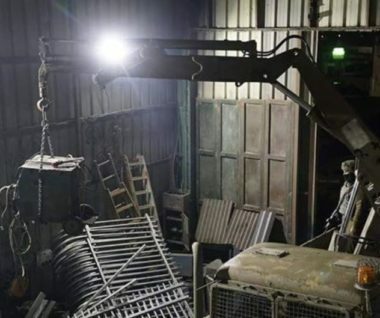 Media sources said the soldiers invaded ‘Anata town, northeast of occupied East Jerusalem, before storming a blacksmith workshop, and confiscated machines and tools while violently searching it. In Jenin city, in northern West Bank, the soldiers shot and injured a young man, after the army invaded the city, and opened fire at dozens of protesters. The army also claimed that some protesters hurled Molotov cocktails at the military jeeps. Furthermore, the soldiers invaded ‘Aida refugee camp, north of Bethlehem, searched homes and abducted Bara’ Ahmad Hourani, 21, and Tareq Ahmad Abu Srour, 20. In Hebron, in southern West Bank, the soldiers abducted Ahmad Nidal Abu Ghazi and Jihad Emad at-Teety, from the al-‘Arroub refugee camp, in addition to Ahmad al-Bayed and Ahmad Salama Abu Ras, 21, from Doura town. Also in Hebron, the soldiers invaded Ethna and the ath-Thaheriyya towns, and installed roadblocks at Hebron’s northern and southern roads, in addition to the main entrances of Sa’ir and Halhoul towns, before searching many cars, and interrogated dozens of Palestinians while inspecting their ID cards.